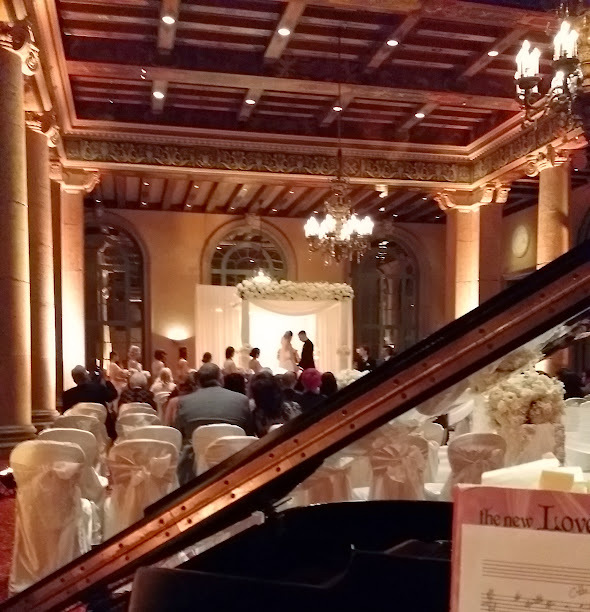 Weddings-Parties-and Bars-Oh My- Los Angles Pianist! Last few weeks have been super fun! Parties! I thought this one was great. 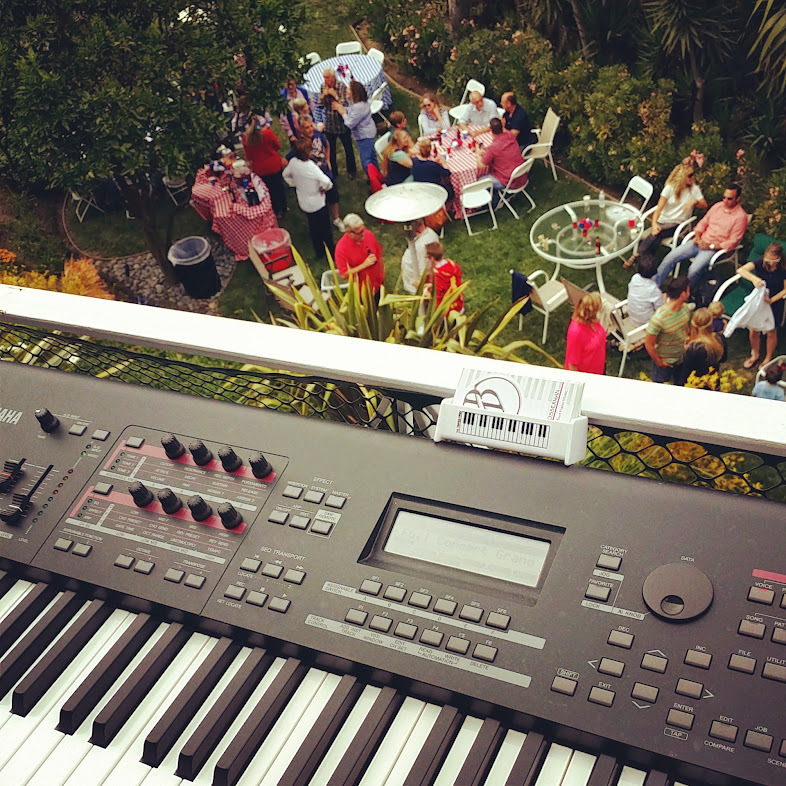 Outside,barbecue, great music! 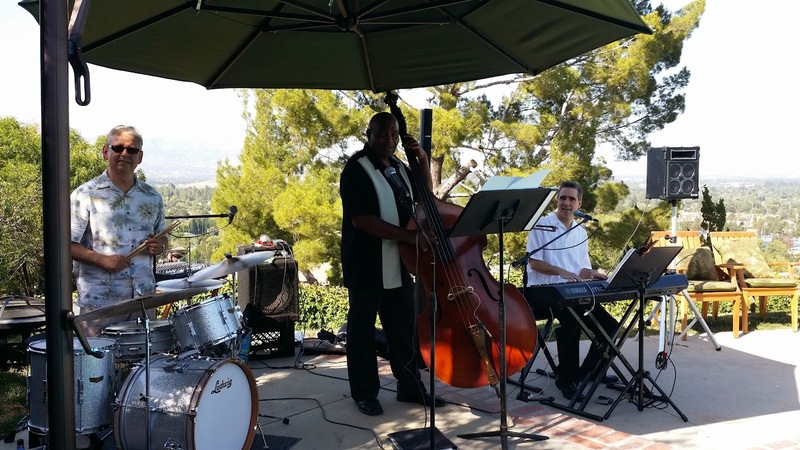 This one was great too in the Hills near Studio City with a trio! Fun because it was standards and jazz and Rock and roll! This one I played the service Bach, Richard Clayderman, Pachelbel. And then for the cocktail hour 30s and 40s tunes with Vocals! And I love the Biltmore Millennium as a venue! And then I’ve been playing my regular haunts…The Parkway Grill-Mondays. The Hilton Universal-Lobby Bar-Tues through Thurs and The Left Coat Wine Bar-Fridays.. and/or Biltmore Gallery BarFridays/Sat…!! Keeps me off the streets and keeps my hands busy!